To add my 2 cents all speculation is a gamble whether it is stocks, bonds, forex it’s all something of a gamble. The same employees (working for large investment houses) will lose all their fancy paychecks (trading fx) if they do not trade under the banners of those investment houses. Could you elaborate on how one is able to develop “a sound understanding of how the market moves” ? Where and how did you learn this understanding? Are you able to teach us in this forum your methods? Time to quit forex I think mate. Forex is gambling and that is why C M C offer u spreadbetting. However, in FX you get to stop the roulette wheel whenever you like and, under certain circumstances, red even has a tendency to turn into black and vice versa. Furthermore, the FX market has a definite “memory”, and the closest comparison in a casino is the game of blackjack. One aspect where the two are certainly alike is with regards to human emotion such as greed, the unfortunate downfall of many a gambler and trader. 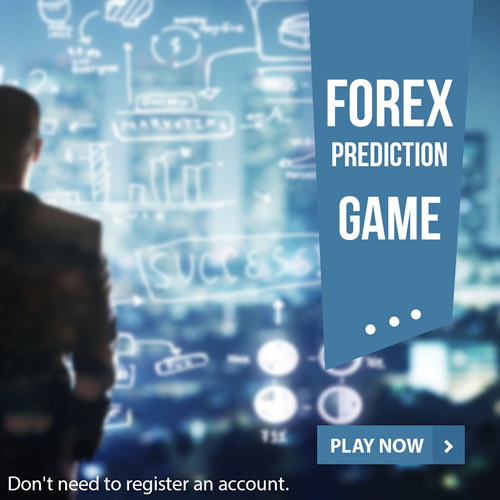 Quite simply the answer to your first question is no , this discussion is about making a comparison between forex and gambling. You will have take my answers on face value .I can tell you i did teach myself, i dont see trading as gambling because when i see an event occuring which creates a signal the outcome is also predictable. I dont predict price eg after an entry signal occurs i then wait for the exit signal ( if you are a more cautios trader support/resistance are goods points to enter/exit on). I dont use stop losses or profit targets as i have no need to, having said that i will lock in profits on the longer time frames. Thats why you should use trailing stops!!! you trade with the trend, if the trend changes for some reasons, you get stopped out with a small profit or a small loss and you look forward to the next trade. ( opportunity). There is no gambling involved in forex trading, just a sound trading plan and discipline to follow it. Trading forex is not gambling, it will become gambling if we didn’t have any knowledges and don’t have any analysis before we opened position. It will become randomly open and close position based on our feeling only, and that is so bad decision. If we want to make daily profits, we can’t do that. We must know how to make good analysis and we must have good trading plan. No I don’t think so forex is a gambling. forex has its own rules and regulations, we can say that gambling is a small part of forex as some people try to earn through gambling. I believe it is only gambling for those who are not having sufficient knowledge and even experience. But if you got enough knowledge and experience, then it will never be gambling instead of a very much proper business which is going to be highly rewarding for one and all involved in it. I do it with very much proper way and approach, it has benefited me a lot and I feel pretty cool with it. Forex trading is often done by people in a gambling way, so it’s only us that make trading like gambling, if we are able to work out through proper strategy and method, then we will not have to be concern over this gambling thing. I at least do Forex trading in sensible way instead of making it work like gambling. Not really miki123, I think it is not exactly done in that way, but the problem is that most of the time people get into this business just out of attraction and then they don’t know what they are doing. This leads them to open trades randomly, it obviously becomes gambling. But I am sure that majority don’t have such intention at all but if anyone got gambling intention, then well it’s not good!